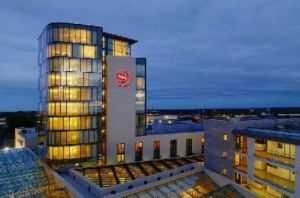 I consider the New Forest site to be the best I have ever worked with. 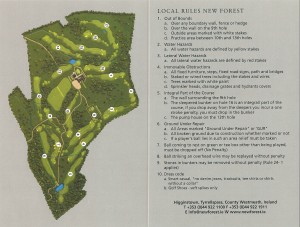 Indeed, I believe that New Forest is the best golf course I have yet designed." Golf is progressing in many ways. Modern equipment and big, strong players are totally overpowering many courses. At New Forest such tactics are unlikely to be successful. The course is one that is designed to respond to the challenges that the game is experiencing. Thought off the tee will be rewarded much more than raw power. New Forest restores that balance whereby the less strong but canny player, with good course management skills, can compete against his stronger hitting opponent. Generous areas for high handicappers are built in to the design where greens are not sought in par figures, but make no mistake: this is a real test for the big boys, if it is set up to be so. We believe that the course blends happily with its surroundings. Most important of all was to use the beauty that nature has given, to highlight trees and water and give golfers the chance to notice. • Greens and tees are constructed to USGA specifications. • The site contains a glacial deposit of pure gravel and sand with the added bonus of being free draining, ensuring all year play. New Forest was voted No. 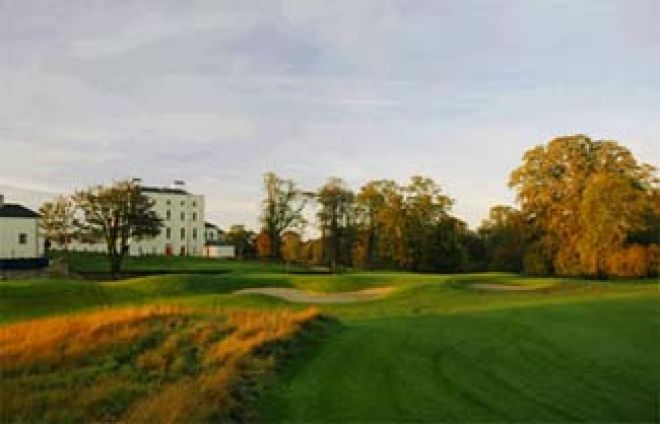 32 Parkland/Inland Course in Ireland by "Backspin" Irelands leading Golf magazine in 2008, the panel comprised of a selection of 52 Professional and amateur golfers throughout Ireland. In 1799, the estate was granted and came into the ownership of the Daniels family. The estate was passed down through the Daniels family for generations until the death of the last heir of the family in 1948. The magnificent estate was then donated to the church who then sold it to Sir Charles Gardner. Sir Charles Gardner acquired the estate only a few years after serving in World War II. His wife, Lady Gardner, was a cousin of Queen Elizabeth. In 1953, Sir Charles immigrated to Australia taking a number of staff with him. Whilst in Australia, Sir Charles rented the estate to Senator Crosby for a year and in 1954 he sold the estate to the Hanevig family from Norway. The estate passed through the hands of a few other owners until 1998 when it was purchased by the current owners, the Jackson family. 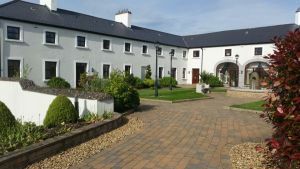 Initially, it was the family’s intention to renovate the country house and move in as it was close to where the younger children were educated near Mullingar. However, the Jackson family had a vision to develop New Forest into the world class golf resort we know today. With a lavish history, the future promises to be every bit as exciting with a 100 bedroom luxury hotel including a state of the art health club & spa and a new clubhouse allowing the mansion house to be returned to a stately home for special occasions including weddings. 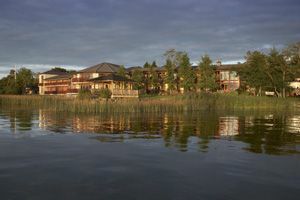 Further developments include residential homes around the course and throughout the resort.